On behalf of the faculty and staff, I welcome you to the Woodruff Primary School family! We believe the parent is the child's first teacher, so we encourage you to be involved in your child's early educational experiences. We believe the community is important to children's educational success. We are thankful to be part of such a supportive community. Student achievement in a safe, secure learning environment is our primary goal. We appreciate you and your continuing support during the 2017-2018 school year. We look forward to working closely with you to accomplish our goals for your child. 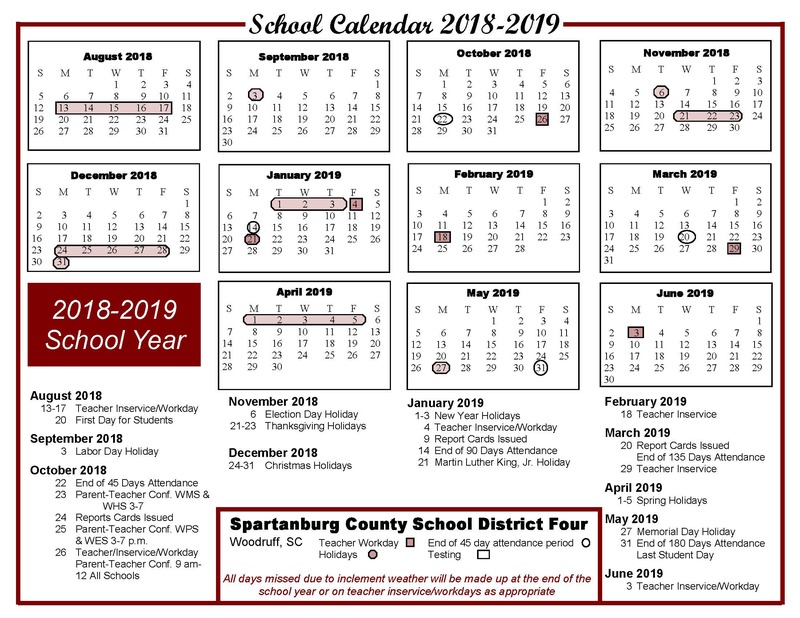 18-19 School Year are now make-up days for all students. February 18th will be a make-up day from October 11th, and March 29th and June 3rd will be the make-up days for the snow days in December. Please make note of these dates on your on your calendar.